CQUniversity regularly hosts public events to spotlight social innovation opportunities, and provoke conversations about social challenges. In 2017, CQUniversity locations across Australia hosted Social Innovation Lecture Series events, with topics ranging from ethical eating and accessible transport to data-driven social enterprise and corporate social responsibility. 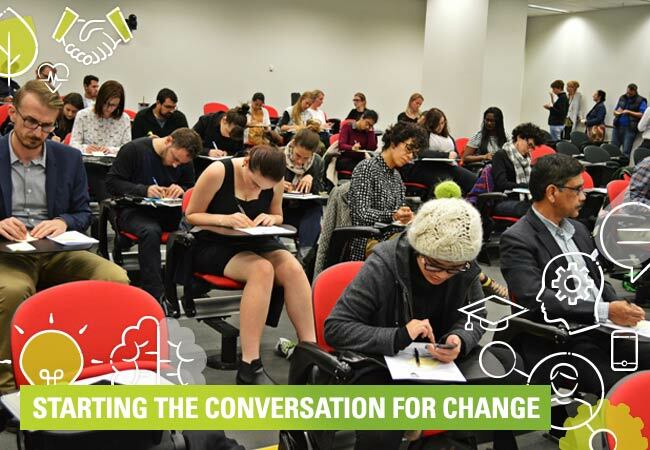 Since CQUniversity commenced its Social Innovation Lecture Series in 2016, participant organisations have included Engineers Without Borders, the Foundation for Young Australians, The Social Deck, Impact Boom, Nundah Community Enterprises Co-operative, Food Connect Foundation, The Big Issue, Melbourne Knowledge Week, and many others. For coming Social Innovation Lecture Series events, keep an eye on this page, or email socialinnovation@cqu.edu.au to subscribe to our event mailing list.